Our friends mean the world to us, and it’s only natural that we’d like to spoil them at least once a year. A birthday is meant to be a day we look forward to – a day we can get excited about, and cherish. The gifts we give should add to this special day. Send a birthday wish with a bright and cheerful bunch of flowers. Each friend has a different personality and outlook on life. 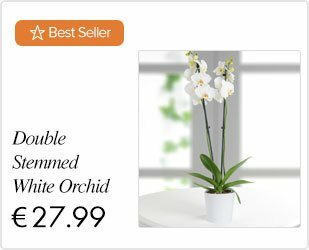 We can make the gifts we give extra special by choosing birthday flowers that fit the unique characteristics of the recipient. Flowers are a wonderful way to surprise and delight a close friend on his or her special day. Say, “Happy birthday” with a stunning assortment of flowers. There are different flowers for different kinds of friendship. The options for birthday flowers are endless! One’s best friend should receive something unique and extra special – LolaFlora definitely has the bouquet you need. We give gifts to those we love and admire on their birthday. Life would be dull without friendship, birthdays and flowers. Let's combine the three in creating the perfect birthday flowers for your friend. His or her special day only comes around once a year after all! LolaFlora is well equipped in catering to every floral need for any kind of friend. Flowers for friendship, flowers for love, and flowers for a birthday; there are many different types of flowers and each has a meaning. There is more to a bunch of flowers than one could imagine. LolaFlora can guide you in choosing the right kind of flower for a friend's birthday. Moreover it would be a loving touch to write the meaning of the chosen flower within the card. 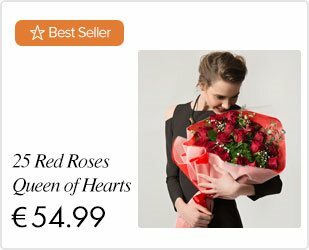 The recipient will be blown away with the extra thought and care in choosing the flowers and their corresponding meanings. Perhaps you need something particular for someone who is more than a friend - a girlfriend, wife or mother. There is a lot to be appreciated in a gift with meaning. We are all different, and something unique to one's personality traits is always well received. A bunch of flowers kitted out to an individual's birthday would be so special to receive. Think of the unique characteristics of those you love - flowers are the same. They are unique, special and there is surely one to be a perfect match with your loved one’s taste. Giving flowers to celebrate birthdays and life is always a good idea.